When Did Sneakers Become High Fashion? Wear them with literally everything. When I started working in fashion more than five years ago, I wore stilettos every day. I was an assistant at a magazine in Toronto and I kept half a dozen pairs under my cubicle desk to wear in the office, on appointments and to events. The shoes I wore to commute were loafers and stacked heel boots—never, ever sneakers. And now, like just about every other person in the industry, I can’t get out of sneakers. 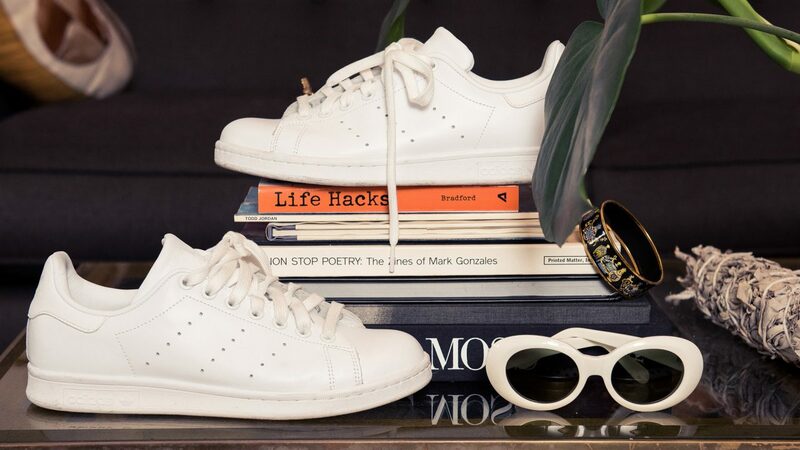 There was a period a couple years ago when I wore all-black Nikes non-stop; currently, it’s all-white Adidas Stan Smiths nearly every day. 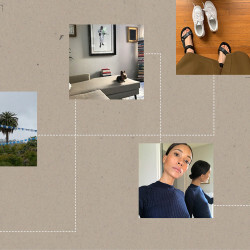 And according to buyers like Kristen Lee Cole of By George and TenOverSix, whose job it is to know these things, the white sneaker thing is not going away: she still saw it on runways and at presentations throughout fashion week. Among my colleagues and peers, well, let’s just say that white sneakers (from Adidas usually, but also Puma, Nike, Gucci, Common Projects, Golden Goose, Zara…) have made us all into fashion victims. But when did sneakers become so fashionable? I’m not a sneaker historian, but it’s not just the high-end sneakers that are luxury items—and it’s not just fashion-obsessed types like me who are investing. For years, sneakers have been the subject of intense fascination and collecting is a big game. A tour through some past Coveteur closets is good enough indication of that: Udonis Haslem, Ronnie Fieg, Noah Callahan-Bever (who owns a pair of Jordans designed by Eminem that are worth more than a car). And just wait ’til you see some of the new closets we have in store for this week. This isn’t news for any sneakerheads, but rarity, like a limited edition CHANEL bag or Gucci collection, ascribes luxury—and Supreme Nikes, Adidas Yeezys and a whole host of sneakers I frankly don’t even know the names of inspire lines around the block that no high-fashion brand ever could. Maybe the designers just wanted to get in on the hype. Likely, it’s part of the bigger streetwear obsession—hey, if Public School can make New Era baseball caps a high-fashion item, nothing is sacred. Probably, fashion has embraced the sneaker with such force because it has been sanctified by our high priest Raf Simons (with his ongoing Adidas collaboration)—just like Phoebe Philo made the Birkenstock the most fashionable sandal in the world. In a weird twist, my very unfashionable dad wore Stan Smiths and Birkenstocks as his weekend shoes when I was a kid. And no, never did I ever think I would wear them both as statement shoes, but here I am, writing this story in wide-legged trousers and—you guessed it—Stan Smiths.